Should Super Bowls be held Outdoors in Cold Climates? 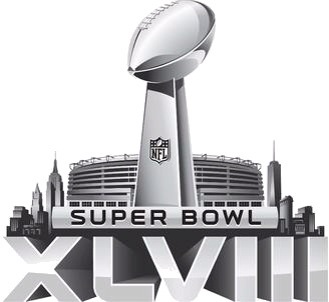 As many of you might already know, Super Bowl XLVIII is going to be played on Sunday and in potentially bad weather. This might come as a strange surprise since this is the first Super Bowl since XLIV to be played outdoors; The catch though is that Miami is in a warm climate while New Jersey , yes New Jersey and not New York, is a much cold climate. I know, We’ve seen many “Snow Bowls” before and other pro games being played in the snow; but, Should the weather be the Puppetmaster in the biggest game in Professional Football? I think not. Know, I’ll present my case for having Super Bowls be held in Domes or in Warm Climates. Just imagine this, You are playing in the Super Bowl and you’ve prepare for it ever since you were a little kid. Now, BAMMMMM, Cold Weather begins to effect the flow of the game. Passes are missing their intended targets; The Extra Point you were going for is knocked off by some powerful wind; and, The stands are looking like a wasteland with almost every seat being emptied. This does not look really good to both players and the NFL itself. If you’ve noticed, Ticket prices are dropping for the big game. So what you may ask, This is bad revenue for the NFL. Like any other businesses or organizations, The NFL earns revenue from various ways and means along with sells of tickets like this. Having a game like the Super Bowl being potentially blacked out is not good for the NFL. Why, It hurts the image of the brand. Also, I’d like to point out the fact that having a Super Bowl in a cold climate would potential make players rather tank during the playoffs to go to Honolulu since they know that it’d be better to go to a warm place like Honolulu than a cold Hoth like place. Now if the NFL decides to host Super Bowls only in warm climates and domes, This would keep the NFL make the same revenue it was making off of Super Bowl Ticket Sells. I know we can’t control the weather and snow during football is common; but, The NFL wants to make money and sell the name of their operations. They’d also would like to even the playing field by having an equilibrium environment that we’d see in a championship game.